We are starting off the semester with four weeks of draping. 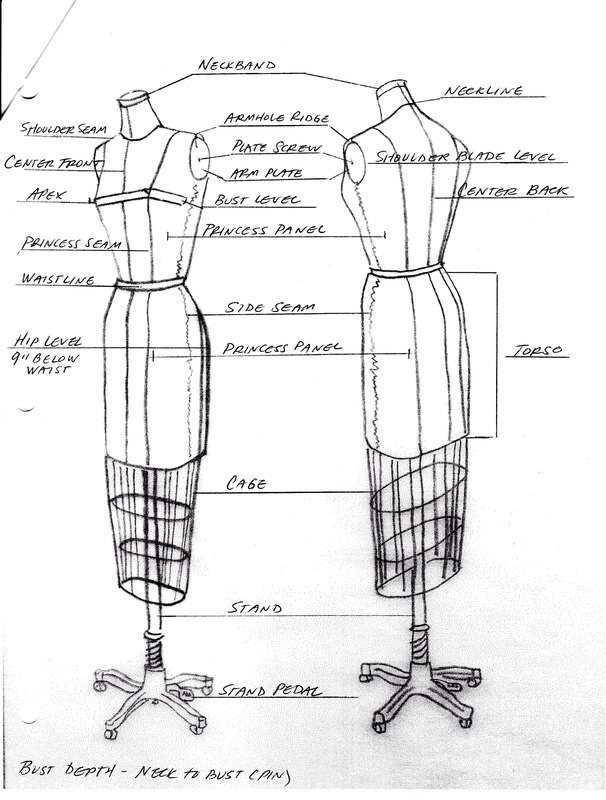 We began by labeling the parts of a dress form. The dress forms we are using are a size 8. I assume this is an industry standard. Unfortunately anything I make for this class will be too small to actually fit me (I am closer to a size 12-14 in the sewing world). I am going to work on a personal corset project in addition to the class project. After labeling the dress form we took our 1/4″ ribbon and outlined all of the corset panels. Since we are sharing forms with a partner we each chose a side to work on and met in the middle. After this step we tore separate rectangles of muslin (on grain), one for each panel of the corset. Each muslin panel measured one inch larger than the widest portion of the ribbon panel, on both sides and top and bottom. 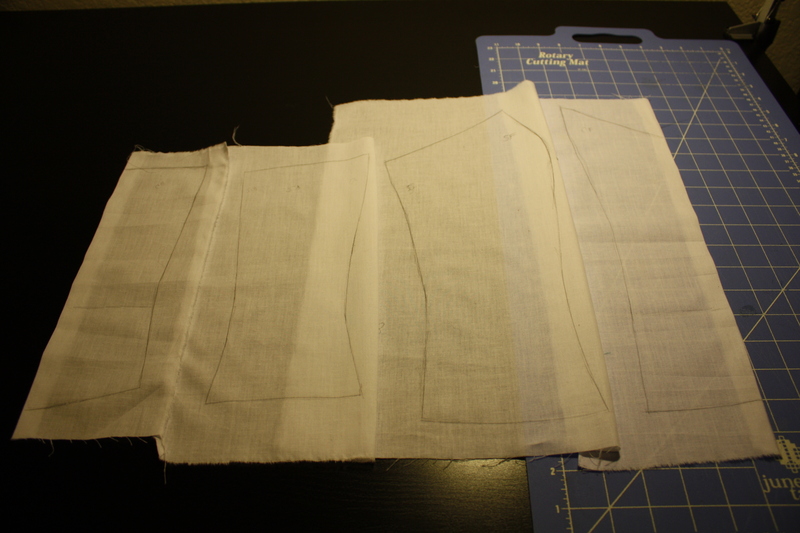 We then pinned each muslin panel to the dress form and traced the ribbon panels. Although mine are not perfect, they shall suffice. The side front and side back are different lengths at the sides. I am hoping to learn how to fix this in class next week. On Tuesday I believe we are going to clean up this muslin pattern, transfer it to paper and then start work on the next one. This entry was posted on Sunday, January 22nd, 2012 at 8:43 pm	and tagged with corsetry, draping, dress form, muslin and posted in Corsetry, Sewing. You can follow any responses to this entry through the RSS 2.0 feed.